The NXPTZT is an exceptional integrated PTZ unit perfect for heavy-duty tasks and ideal to operate in the harshest and most corrosive environments, such as industrial and offshore/onshore marine applications. 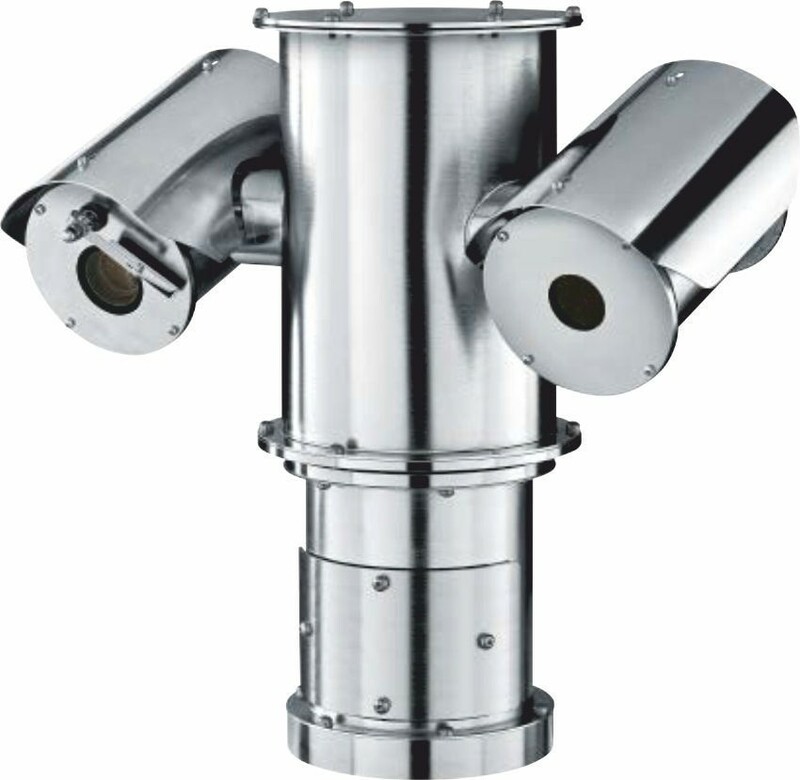 This model features a real time dual vision, integrating a Day/Night colour module and a thermal imaging camera for security applications in difficult environments, where the event detection is required even in total darkness, through fog, rain, heavy smoke or in the far distance. The two cameras complement and support each other in a surveillance challenging system to ensure that an area is constantly and effectively monitored. These positioning units guarantee long-term performance, with low maintenance, thanks to the maximum care in the construction processes and the best quality AISI316L, passivated and electropolished. These special treatments create a shell in the surface that makes the product completely impervious to rusting and corrosion. All models are available in analogue or IP version. The flexible operator control of pan/tilt/zoom functions allows the video transmission over the local area network (LAN) or over the Internet with H.264/ AVC compression, compatible with ONVIF Profile S.
The unit is always supplied with integrated wiper for Day/Night camera; wide choice of tanks with washer pump available with different capacities and delivery heights.